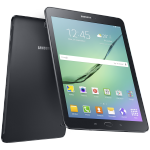 Rumor after rumor has leaked about Samsung’s Galaxy Tab S successor, and it’s finally been announced. This announcement was much quieter than last year’s, although this tablet isn’t quite as exciting and groundbreaking as the original Tab S.
Appropriately titled the Galaxy Tab S2, this year’s version will come in two screen sizes. You’ll be able to pick between an 8.0-inch and 9.7-inch display, both with screen resolutions of 2048×1536. You might notice those numbers look a little different from last year, and you’d be right; these tablets have adopted a 4:3 aspect ratio, different from the widescreen view on the older generation Tab S. This is similar to the Galaxy Tab A line that Samsung has been selling this year. Other hardware on the Tab S2 is top notch, which I’m sure everyone expected. The processor is a beefy octa-core Exynos 533 paired with 3 GB of RAM, an 8 megapixel/2.1 megapixel camera combination, and Android 5.0 with Samsung’s latest Touchwiz overlay. This includes an offer for 100 GB of Microsoft OneDrive storage, and support for Samsung’s themes that were introduced with the Galaxy S6. You’ll find 32 or 64 GB internal storage options, plus a microSD card slot with support for up to 128 GB cards. Samsung has also moved to a touch-based fingerprint scanner instead of the clunky swipe-based fingerprint scanner. Samsung hasn’t announced pricing for these devices, but they’re set to go on sale next year. The original Tab S launched at $399 for the smaller screen and $499 for the larger screen, although this doesn’t account for larger storage options and optional LTE connectivity. 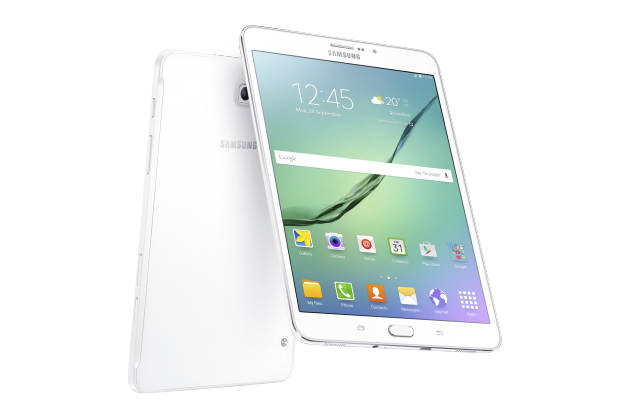 What are your thoughts on the new Galaxy Tab S2? The original 8.4-inch Tab S has been my daily driver for the past several months, and so far I haven’t seen much of a reason to upgrade. The newer fingerprint scanner is a nice touch, although I’m not a fan of the different aspect ratio, especially when it comes to watching videos. 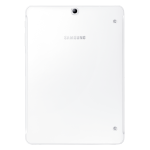 You can find a gallery of images of the Tab S2 below, as well as Samsung’s full press release. 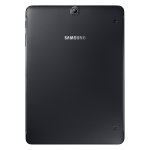 SEOUL, South Korea – July 20, 2015 – Samsung Electronics Co., Ltd., today announced the global launch of the Galaxy Tab S2, the most immersive Samsung tablet to-date. Samsung’s newest Galaxy tablet continuously delivers a stunning Super AMOLED display perfectly optimized for reading and viewing any type of digital content. The Galaxy Tab S2 is stylishly designed with the thinnest and lightest metal frame of its size on the market and packs powerful performance features to offer enhanced usability, empowering users with new and improved choices in productivity and multitasking. 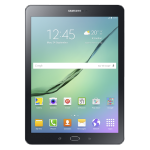 In addition, the Galaxy Tab S2 continually offers its advanced screen technology to display bright and natural content for a more comfortable visual experience. Adaptive Display intelligently adjusts gamma, saturation, and sharpness based on the application, the color temperature of the viewing environment and ambient lighting. Also, Reading Mode modifies the screen’s brightness level to help users to read content for longer periods of time without straining their eyes. 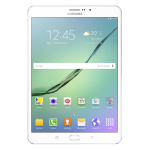 Packaged within the world thinnest and lightest metal tablet frame of its size, the Galaxy Tab S2 is portable enough to easily carry around all day. Also, the fashionable and stylish design is suitable for any purpose or setting, so user can enjoy the best viewing experience anywhere, anytime. For enhanced manageability, the Galaxy Tab S2 is built with a touch-enabled Fingerprint Scanner for hassle-free authentication. A built-in advanced security sensor now offers easy access to the personal device with a simple press against the home key. For the most streamlined device management options, the Galaxy Tab S2 features Smart Manager which displays the device’s settings automatically, including battery power levels, storage and RAM availability for users to efficiently manage their devices. It is also pre-installed with anti-malware for an extra layer of protection. 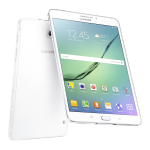 In addition, the Galaxy Tab S2 offers Multitasking, allowing users to view and run two apps simultaneously. Also with Pop-Up Window, users can easily navigate between multiple apps at once. The Galaxy Tab S2 also provides an improved storage structure that makes locating files simpler than ever.